Incyte released positive results from its Phase 2b clinical trial for a cream to alleviate symptoms of atopic dermatitis, a skin disease. 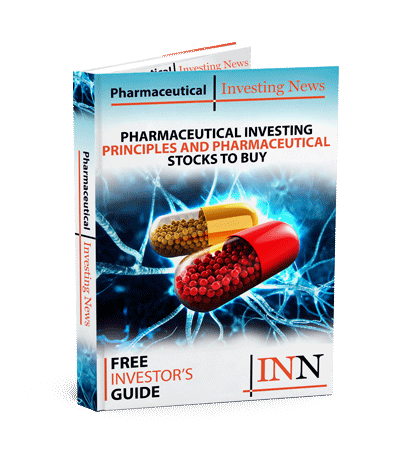 Incyte (NASDAQ:INCY) released positive results of its Phase 2b clinical trial of a cream to alleviate symptoms ofatopic dermatitis, which is a skin disease, on Thursday (September 13). The trial, which finished in March 2018, presented results of the trial Thursday in Paris at the European Academy of Dermatology and Venerology congress. As the trial met primary and secondary objectives, the company is planning to start the Phase 3 program for the treatment. The primary endpoint was reached by patients who saw a 71.6 percent improvement with Incyte’s treatment versus 15.5 percent improvement with the vehicle cream. “The positive results of this Phase 2 study demonstrate the potential of ruxolitinib cream to offer a novel, effective non-steroidal topical therapy to the millions of patients suffering from AD,” Dr. Steven Stein, chief medical officer at Incyte, said in the press release. Results also showed patients had a 52.7 percent and 4.8 percent improvement at week two from Incyte’s treatment versus the vehicle. A test measuring the disease severity also showed Incyte’s treatment had been reduced by 38 percent versus the vehicle at 7.7 percent. The study had 307 enrolled patients in three groups: one testing Incyte’s treatment, another with a non-medicated cream as the vehicle and the active control group with a steroidal treatment. Altogether, the study lasted for 12 weeks. Incyte’s treatment was well-tolerated at every strength of the dosage given to patients in the trial; only minor side effects were reported from the cream. The treatment could be the first approved product which inhibits JAK1/JAK2 to show significant results as a stand-alone treatment. When these JAK signal pathways are over activated, the inflammation of atopic dermatitis increases. By identifying a treatment to inhibit the pathways, more successful options are seen. Currently, atopic dermatitis has no cure, but even the current treatments such as topical corticosteroids have limited ability to improve the condition or symptoms and as associated with significant side effects with long-term use. Approximately 11 million people in the US have been diagnosed with this skin disease, which is represented as skin inflammation. Symptoms include skin rashes, dry skin, itching and lesions, which make the patients more prone to bacterial, viral and fungal infections. Incyte has a total of 19 drug candidates and 17 molecular targets in development, many of which are JAK1/JAK2 inhibitors. Ruxolitinib is the company’s first commercial products, while Jakai is approved for a bone marrow disorder and a blood cancer. Over the trading period on Thursday, Incyte’s share price increased by 1.46 percent to close at US$67.48. Most recent analyst consensus on TipRanks has a price target for Incyte of US$88 and a low of US$70.